Attorney Ricky Anderson, has been the Managing Partner of the Law Firm of Anderson & Smith P.C., since 1994, based in Houston, Texas. He Lectures global on Entertainment Law, Music Industry Contracts, and Trial Preparation. 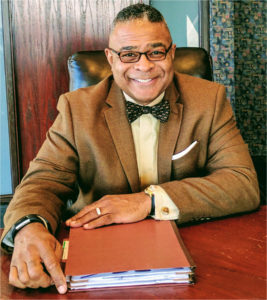 Attorney Ricky Anderson, a graduate of Prairie View A & M University, received a Bachelor Degree of Business Administration in 1983, and then matriculated to Texas Southern University’s Thurgood Marshall School of Law where he received his Juris Doctor Degree in 1992, and successfully admitted to the State Bar of Texas, the same year. Family Feud, NBC’s Steve Harvey Talk Show, The Steve Harvey Project, Judge Greg Mathis, Judge Alex, Tyler Perry’s House of Payne, Tyler Perry’s Meet The Browns, The Judge Mathis Project (solving murders in the African American Community), Ice Cube’s “Are We There Yet”, Sunday’s Best, The Steve Harvey Show, ‘Like Family”, Warner Brothers, “The Parkers”, UPN, Showtime @ Apollo, Sister Sister, UPN, “Steve Harvey’s Big Time”, Warner Brother, Coming to the Stage, BET, and Comic View, BET. 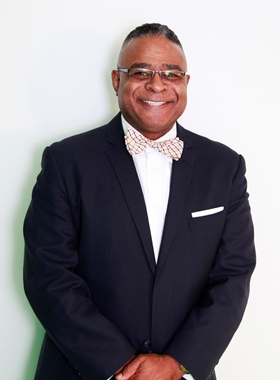 In addition to the network television, movies, feature films, pay per view and HBO deals that Attorney Ricky Anderson develops, he is the Former Chairman and CEO of the Black Broadcasting Network Inc., is the former CEO and President of CBS Records, Inc., A Texas Corporation and the majority shareholder in Big City Enterprises, and Qudel Promotions, Inc., producing national concerts such as the “Kings of Comedy”, “Jazzfest”, “the Boys are Back”, and “the Hip Hop Comedy Reunion Tour”. He is also the Executive Producer of The Nationally Syndicated Music Video Television Show, “Big City”, and such Independent Feature Films as “Renegade”, “Beach Party Weekend”, “A Freakin Documentary with Shamar Moore”, and “Beach Party”.